Dr Kelly Macgroarty is a specialist knee and shoulder Orthopaedic Surgeon. Dr Macgroarty completed his medical degree at the University of Queensland in 1995. He then entered advanced training in Orthopaedics and gained Fellowship to the Royal Australasian College of Surgeons in 2003. 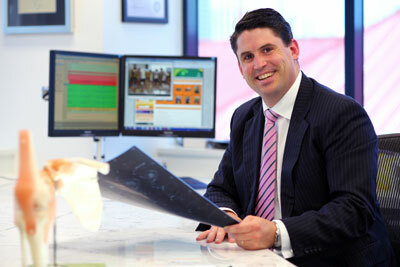 He became a fellow of the Australian Orthopaedic Association in 2007. After spending time as a staff surgeon at The Prince Charles Hospital and Redcliffe General Hospital, Dr. Macgroarty embarked on overseas post-graduate fellowship training in knee and shoulder surgery both in the United Kingdom and Canada. Kelly was then responsible for establishing the first dedicated shoulder unit at The Prince Charles Hospital. Since establishing a private practice, he has been focused on the management of complex knee and shoulder injuries in both professional and amateur athletes. His private practice is based on Wickham Terrace at St Andrew’s War Memorial Hospital in Brisbane. In addition, he performs day surgery at Northwest Hospital and Greenslopes Private Hospital. As well as his clinical practice, Kelly is active in Orthopaedic medico-legal reporting and is registered with the American Board of Independent Medical Examiners. He is a certified independent medical examiner. He is a full member of the Australian Orthopaedic Association, the Shoulder and Elbow Society of Australia and the Australian Knee Society. In addition, he is currently the President of the Queensland Shoulder Society and a member of the International Society of Arthroscopy, Knee Surgery and Orthopaedic Sports Medicine, American Academy of Orthopaedic Surgeons and the Australian Medical Association. Since 2007 he has served as a member of the QComp medical assessment tribunal. He served as a general committee member of the Queensland branch of the Australian Orthopaedic Association from 2009 until 2015. In 2015, he was elected the Deputy Director of Orthopaedic training in Queensland. He is currently the National chairman of the Australian Society of Orthopaedic Surgeons. Kelly served as an elected AMAQ councillor from 2013-2015. 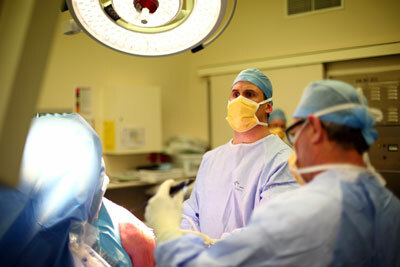 Dr Kelly Macgroarty is a senior lecturer in Orthopaedics at the University of Queensland. He has been invited to be on faculty at several national shoulder meetings and has been involved in the design of a number of new instruments used in Total Shoulder Replacement surgery. He has also been invited to be the chairman of total shoulder replacement workshops designed to aid in training for developing shoulder surgeons. Kelly has published in the British Journal of Bone and Joint Surgery and the Canadian Journal of Surgery. In 2014 Dr. Macgroarty was presented the Australian Orthopaedic Association (AOA) Leadership Award. This award recognises outstanding leadership potential in a member of The (AOA) under the age of 50, who has made a substantial contribution to AOA either at branch or federal level, and other areas of professional endeavour.